Hey! I am happy you are here to follow along on this crazy adventure, let me give you a peek into what has been happening this week. If you missed week 1 check it out here. 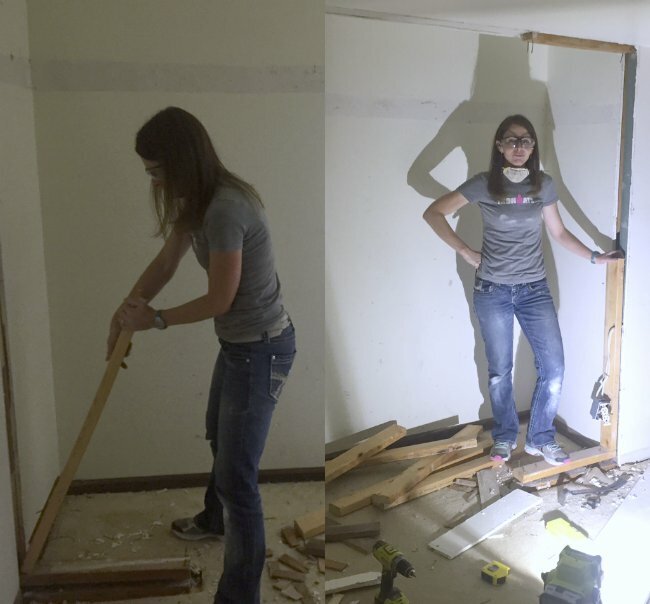 Removing Closet Walls, is about it folks. 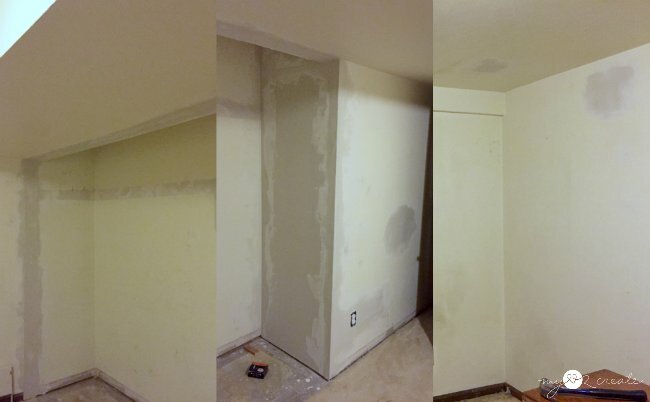 And trying to make the walls look normal afterwards...which is much harder than removing them let me tell ya. But I am jumping ahead. Lets start at the beginning. Removing everything from the room was actually first. My boys and I set up their things nice and cozy in our basement living room which will now be their bedroom for the next several weeks. (assuming I can actually pull this off in time...are you still crossing your fingers?!!) Above is what the room looked like after we were done last Thursday night. The original plan was to just make over the room, but in the back of my mind I knew there was a storm brewing, and this was the opportunity it needed to be unleashed. 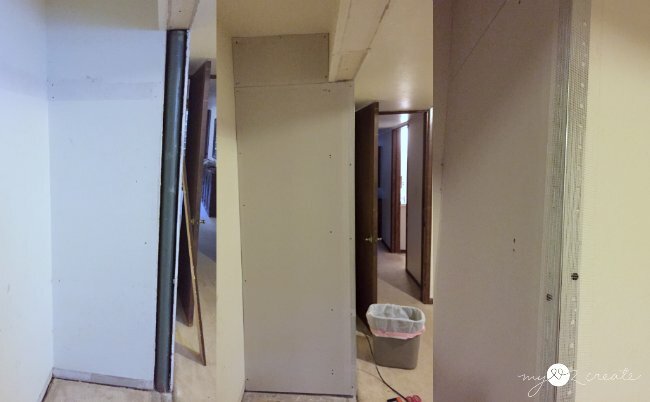 Several years ago a good friend (who does remodel work) answered some questions I had around the house and one of them was "can I remove these closet walls?" The answer was yes, they are not weight bearing walls. So secretly I knew I wanted them out, and last Thursday the moment of truth had arrived. Was I brave enough to do it? Apparently I was!! Eeeek! I started by removing everything in the closet, the rod, shelf, and shelf support boards. 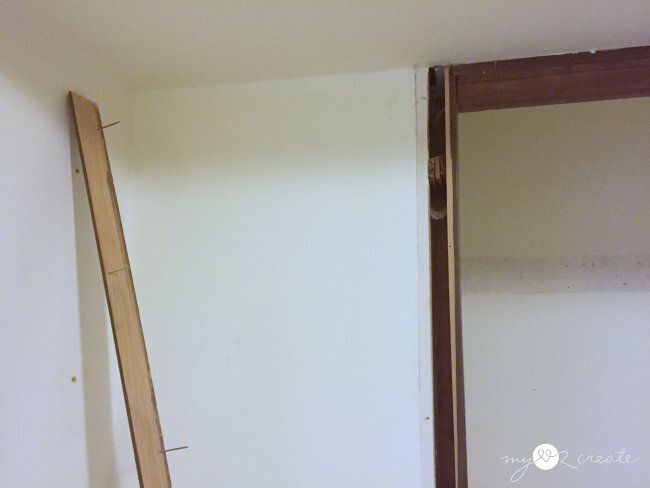 Then I removed the frame of the closet. I mostly used my crow bar and mallet to pry out the wood and nails, but when I came to removing the inner frame I had to use my Ryobi Reciprocating Saw to get some stubborn nails that were nailed into some shims and then the frame. Once I busted through those, it came right out! Now to remove the walls! I suppose I could have taken a hammer to the drywall, but I didn't want to make my mess bigger than it needed to be. So I used a blade to score the edges of the drywall and then used my reciprocating saw to cut through the drywall. I was able to easily pry it off in large sections this way. Make sure when you remove a wall that is is not weight bearing, and be cautious of possible cords/electrical in the walls, it is a good idea to turn off any circuit breakers before. I knew this side wall did not have anything to worry about. When I got to the wall on the right I flipped the switch because there was a plug in the wall. I did NOT want to be electrocuted, which is why these photos are in the dark, with my work light. After shutting off the breaker, I carefully pushed the outlet into the wall so it wouldn't get caught on the drywall when I removed it. I also made sure to be cautious when cutting it so I did not hit my electrical cord. 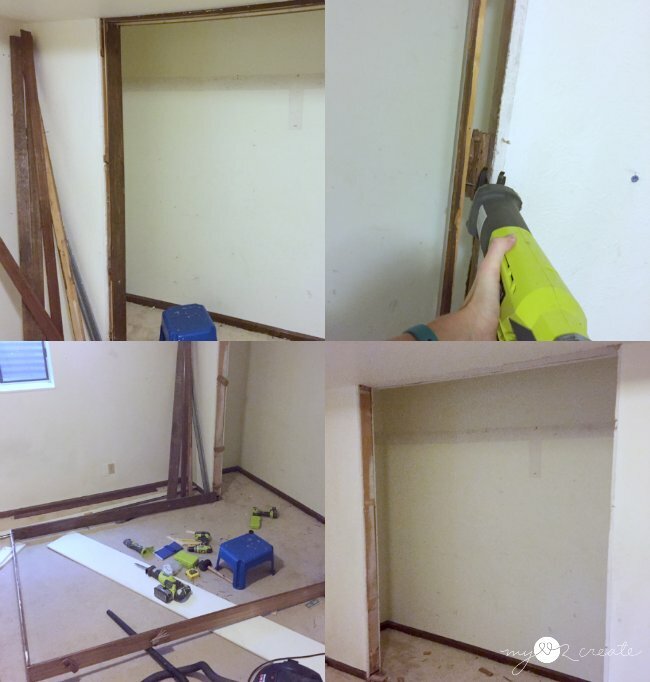 Because this wall was not on a corner, I measured the inside of the closet to determine where to score and cut from the outside. You can see my score line on the above left photo. 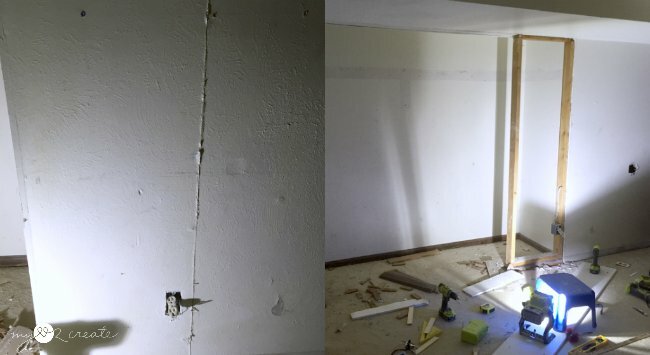 Once all the drywall was out it was time to remove the studs. I cut them in half with my reciprocating saw and they came out pretty easy after that. My husband came down and got some shots of me...after he looked at me in disbelief and said "Who are you?" When I got to the second wall and realized I had to relocate an outlet I was having second thoughts. Seriously!? But after watching a youtube video I decided I could do this, but I had another problem too. See that support pole in the top left photo? Yep, it was a surprise. Not only did it cause a challenge for moving the outlet but also for replacing drywall later on. Sooooo, I had to open up the wall on the other side of the stud and deal with the pole anyway. Luckily it all worked out in the end, and my first wiring of a plug was a raving success! Yippee! 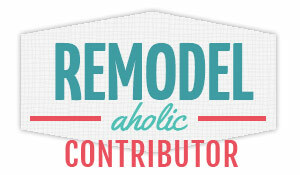 Now how to deal with the drywall issue. 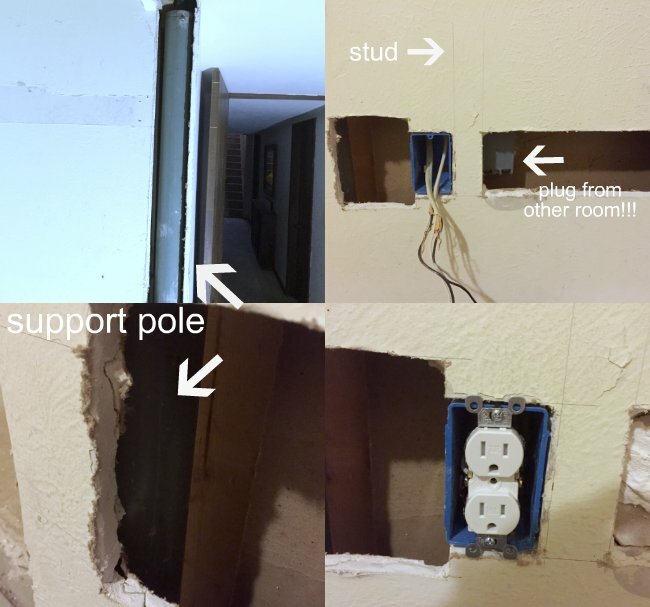 The pole was flush with the closet wall and room wall, so patching it would cause a half inch bump in the wall, and I didn't want that (hopefully that makes since). 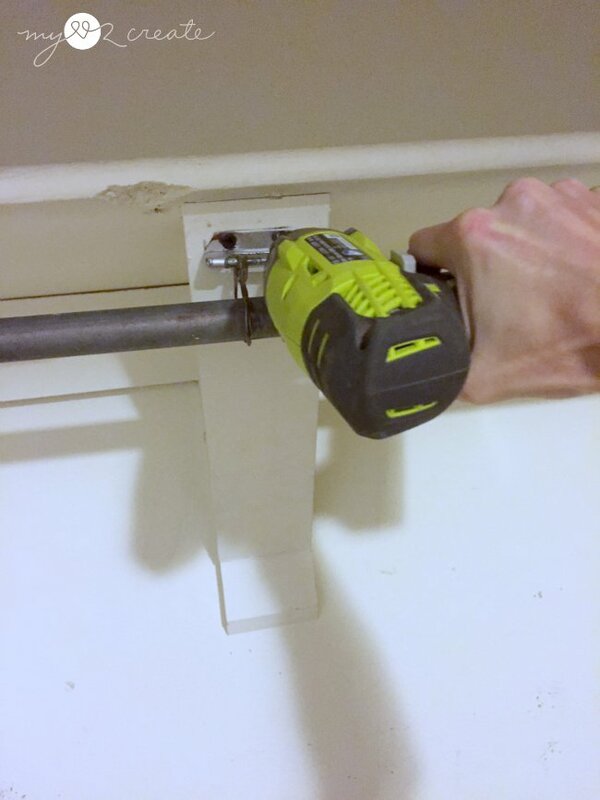 After consulting the nice men at home depot, my original idea ended up being the best solution. 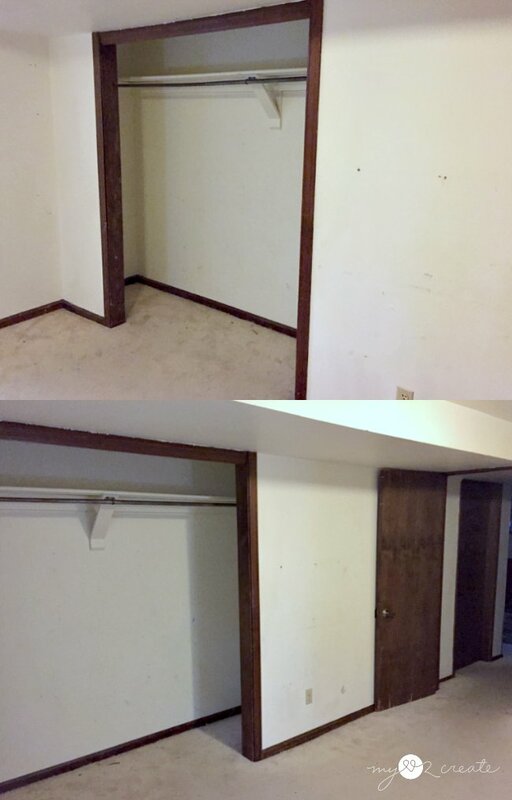 To cover the closet wall with a new sheet of drywall so it could meet the room wall at a corner. I did this, and attached a metal corner thingy. Problem solved, phew. Holy mess! Glad I used the tarp. When I finished, my ever faithful Sunny (our dog) had been by me the whole time, I hadn't even realized that she was getting showered with the stuff, her back was covered with white spots! It was hilarious...sorry I missed that photo op. Now you may have wondered about the floor where I removed the walls. I have been wondering about it all week too. :) Obviously with no money, replacing the carpet in the whole room is not an option, and putting in flooring for the whole room won't work either, I wish I could. So I decided to just do flooring in the closet area (maybe not the best option, but it is what I am doing). 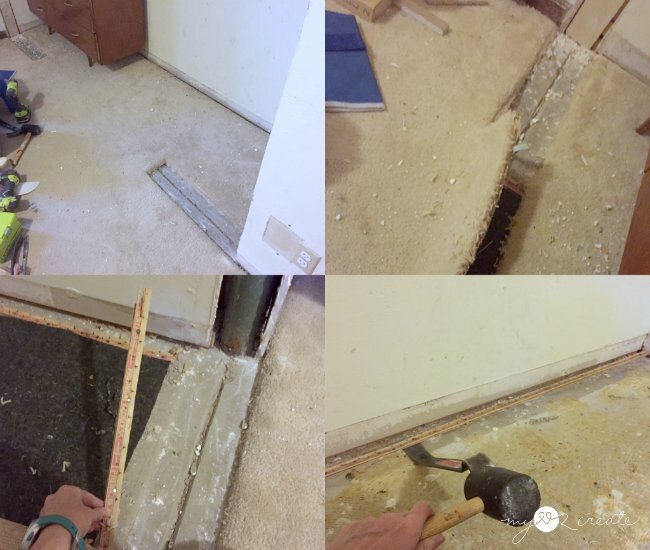 I removed the carpet, pad, and tack strip. Then after some counseling with another home depot guy I made a plan of how to install the new box of laminate I bought. You will have to stay tuned for that next week! I have been out of commission for couple of days...I haven't had a chance to do anything but STRESS that I haven't been able to do anything. Speaking of stress...one of the reasons is because I had to go to the doctor for a stress fracture. I was training for a marathon (which would have been the first weekend in October) and one week before I was to run, out of no where, I had pain in my foot which never went away, and got worse when I ran. I didn't run the marathon and just barely got to the doctor Tuesday. Luckily I caught it before my bones cracked so I am now having to do stretches and inserts in my shoes and fun things so I can get better, because I GOT INTO BOSTON in the spring!! I have been trying to get there for years, and my sister and I are finally running it! Whoop!! So I HAVE to get better. I feel like I will be playing catch up this next week and have big plans for making progress on this room. This small room will be much more efficient with these wall ripped out...here's to hoping I am right! Don't forget to check out all the other ORC (one room challenge) participants at Calling it Home! Thank you so much for following along, it makes me all happy inside, really, you are the best! I can't tell--did you take out the 2x4's in the ceiling--or did you leave them? Good work! I took out a closet this week, too, but I didn't have to texturize any walls, thank goodness. Thank you! I did take out the 2x4's in the ceiling, and then patched it with drywall. Lucky you, I wish I didn't have to do texture! Awesome work! Are you putting back a closet? Otherwise it can't be considered a bedroom for resale values. This is something that is usually learned the hard way! oh wow! You got a lot done! This is the real stuff that happens! Love that you broke all this down for us. WOW! Look at your progress! Way to go! Wow!! You really dove right in! Amazing! I did not get this far, lol. I'm in awe! You are awesome! 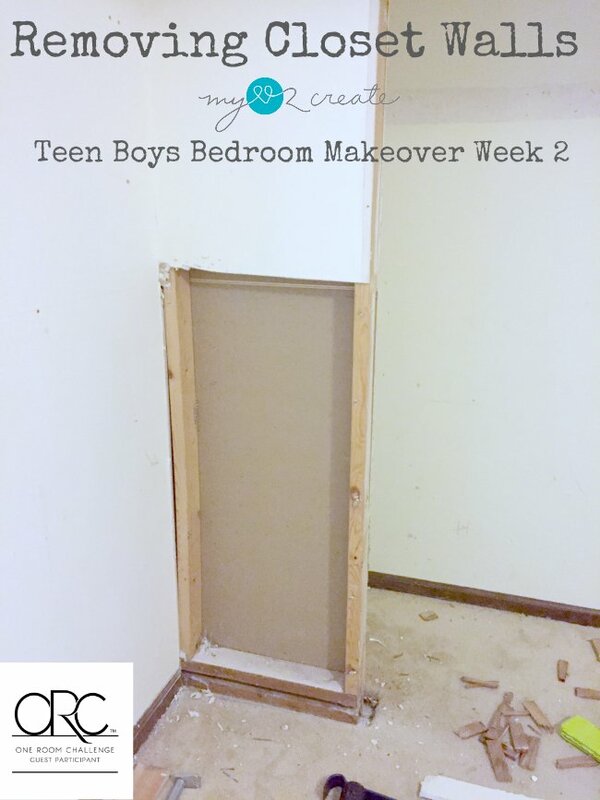 I'm loving following this makeover in progress. 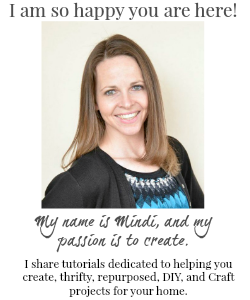 you're amazing Mindi! Your kids are going to grow up like jamie. When I do something that I'm really proud of, and I'm like WOW, she's like hmph! She thinks I can do anything, so not much impresses her. good luck as you move forward, and so sorry to hear about your stress fracture. Take care of yourself because Boston ROCKS! you go girl! Oh my heck! You are crazy.... I mean awesome ! Haha. Can't wait to see it all done! Oh, the demo is kind of fun but the "mudding" and the patching of holes is a pain! I also did it in my son's closet and I'm so happy at how open it is now. I'm following your progress, as you might know, I'm also working on my son's room but I'm a turtle I cannot work under pressure. You're doing great! You are doing great! 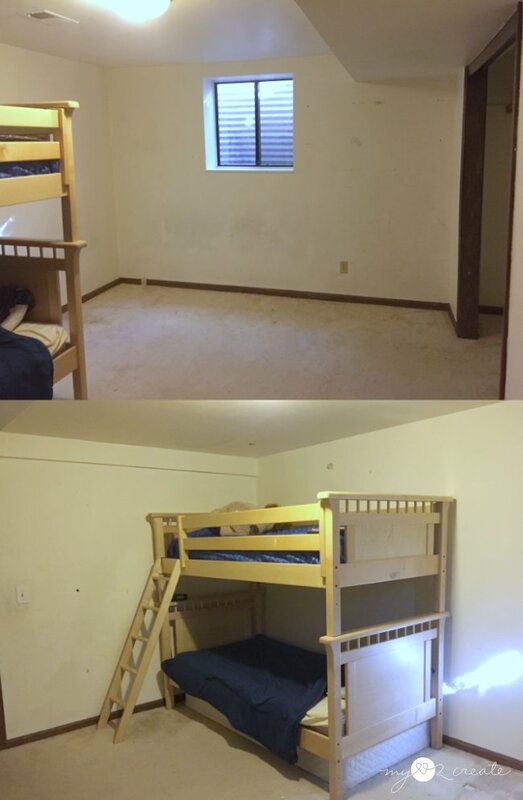 The boys will surely like this room. It's quite a huge job, but cannot wait to see the final result of this.